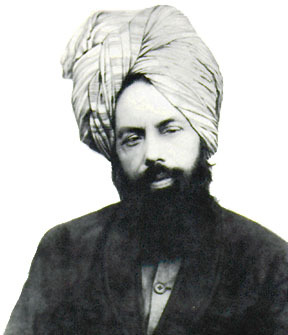 The Ahmadiyya Muslim Community is the only Islamic organization to believe that the long-awaited messiah has come in the person of Mirza Ghulam Ahmadas (1835-1908) of Qadian. Ahmadas claimed to be the metaphorical second coming of Jesusas of Nazareth and the divine guide, whose advent was foretold by the Prophet of Islam, Muhammadsa. The Ahmadiyya Muslim Community believes that God sent Ahmadas, like Jesusas, to end religious wars, condemn bloodshed and reinstitute morality, justice and peace. Ahmadas’s advent has brought about an unprecedented era of Islamic revival. He divested Islam of fanatical beliefs and practices by vigorously championing Islam’s true and essential teachings. He also recognized the noble teachings of the great religious founders and saints, including Zoroasteras, Abrahamas, Mosesas, Jesusas, Krishnaas, Buddhaas, Confuciusas, Lao Tzu and Guru Nanak, and explained how such teachings converged into the one true Islam. The Ahmadiyya Muslim Community is the leading Islamic organization to categorically reject terrorism in any form. Over a century ago, Ahmadas emphatically declared that an aggressive “jihad by the sword” has no place in Islam. In its place, he taught his followers to wage a bloodless, intellectual “jihad of the pen” to defend Islam. To this end, Ahmadas penned over 80 books and tens of thousands of letters, delivered hundreds of lectures, and engaged in scores of public debates. His rigorous and rational defenses of Islam unsettled conventional Muslim thinking. As part of its effort to revive Islam, the Ahmadiyya Muslim Community continues to spread Ahmadas’s teachings of moderation and restraint in the face of bitter opposition from the Muslim world. religious wars, condemn bloodshed and reinstitute morality, justice and peace. Ahmadas’s advent has brought about an unprecedented era of Islamic revival. He divested Islam of fanatical beliefs and practices by vigorously championing Islam’s true and essential teachings. He also recognized the noble teachings of the great religious founders and saints, including Zoroasteras, Abrahamas, Mosesas, Jesusas, Krishnaas, Buddhaas, Confuciusas, Lao Tzu and Guru Nanak, and explained how such teachings converged into the one true Islam. The Ahmadiyya Muslim Community is the foremost Islamic organization with a central spiritual leader. a) It is consistently said about Jesus رسول الی بنی اسرا ٗیل That he was (is) Messenger towards Israelis; A limited Nation and for a limited time period, where as The Holy Prophet Mohammad (p.b.u.h) و ما ارسلنا ک الا رحمت اللعلمین is the Universal Messenger send to all mankind. c) As the Holy Prophet Mohammad (pbuh) is خاتم المنبین Seal of the Prophet; Jesus could not and would not break the seal, so his coming is only Metaphorically.